The IMF International Monetary Fund’s Regional Economic Outlook for the Western Hemisphere has marked down its growth forecasts for Latin America and the Caribbean to 1.2 per cent in 2018 and 2.2 per cent in 2019, from the May 2018 forecasts of 2.0 per cent and 2.8 per cent. Respectively they stated that the moderating recovery is underpinned by divergent growth outcomes across the region, and some regions largest economies. The recovery has slowed as country specific characteristics amplify the impact of growing trade tensions and tightening monetary conditions. higher global oil prices coupled with increased political uncertainty have dampened the near-term outlook in several economies in Central America. Activity is recovering in the Caribbean, reflecting the uptick in tourism owing to robust U.S. growth. 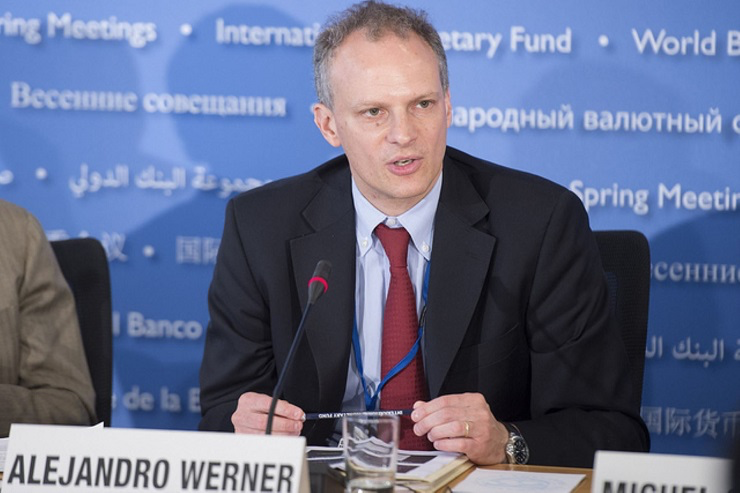 “Despite the slowdown in regional economic activity, private investment are showing signs of life,” Alejandro Werner, Director of the IMF’s Western Hemisphere Department, told a press conference in Bali, Indonesia. Contracting for three years in a row, private investments in Latin America and the Caribbean are estimated to have stopped being a major drag to growth in 2017 and is gaining further strength. In the last quarter of 2017 and the first quarter of 2018, the contribution of investment to growth in the region turned positive and is projected to continue supporting the recovery this year and next. Economic prospects for the Caribbean are improving, Growth in the region is expected to firm up this year and next year, supported by robust U.S. and global growth. Reconstruction from the devastating hurricanes of 2017 in some tourism-dependent countries has been largely delayed so far but is expected to pick up in 2019. Rising commodity prices and production are projected to lead to stronger growth for commodity exporters. the IMF said a slowdown in global trade, owing to a range of factors—including rising protectionism, an escalation of ongoing trade disputes, fluctuations in energy prices, and an abrupt tightening of global financial conditions―could undermine the nascent recovery and further reduce long-term growth prospects in Latin America and the Caribbean.